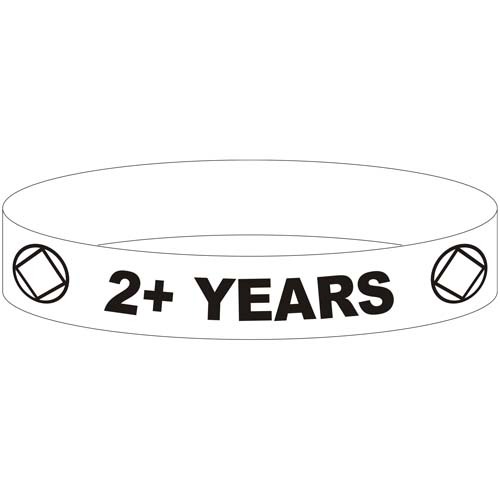 Celebrate the passing of multiple years with these awesome BLACK Silicone Wristbands! These are great to present along with or in place of the traditional black or bronze recovery medallions! Our familiar Circle and Diamond service symbols along with the number of years you choose is expertly laser engraved into these super-unique NA Anniversary wristbands! Have an idea for a unique recovery wristband design? Want something special for your group, facility, or special event? Please let us know! We love working on your special projects!